Beacon House has worked with abbaroo.com since 2008, during this time we have created a database for patients at this recovery house. 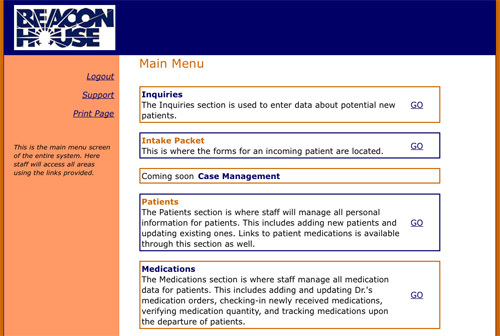 This database contains patient information, medication information, and a real-time method of distributing the medications to patients, and signing for them with a signature pad. This runs on their internal web server, so it's not available to view on the internet.